Eurocare offer an extensive service for all your hygiene service needs across the Cardiff area. From the disposal of clinical waste to ensuring that your washrooms are regularly supplied with vending services, we can provide a range of services that fit in with the needs of your business. 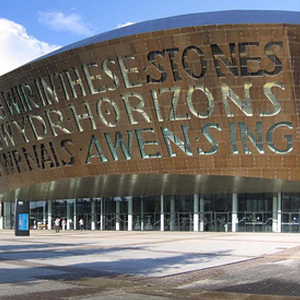 Over the years we have built an excellent reputation for providing specialist hygiene services, washroom services and clinical waste disposal throughout Cardiff and the surrounding areas and we have many satisfied clients in the area. In addition to sanitary and clinical waste disposal services we can also help you with areas such as washroom vending, baby changing facilities and air freshener units. We can ensure that you supply a regular supply of appropriate products for vending purposes in your washrooms. This will give your staff and visitors access to products which they can buy discreetly and offers them the convenience that will be appreciated. Baby changing facilities will give parents and carers the appropriate space that they need for nappy changing etc and we can help you kit out and supply these rooms. We also supply a range of air freshener units which you can use throughout your commercial premises. Please get in touch to find out more about these services. Eurogroup have helped many customers in the Cardiff area with their hygiene service requirements. If you are located in and around places such as Penarth, Newport, Caerphilly, Radyr, Barry, Rogerstone and Cwmbran and need advice about hygiene services, washroom services or sanitary and clinical waste disposal then please get in touch. Eurogroup offer comprehensive hygiene services at cost effective prices. Our service is highly professional, discreet and environmentally friendly so please contact us on 02920 868961 to find out how we can help you.